While not all Problems Of [the] Week (POWs for short) will be classics, this one certainly fits the bill and I thought it would be nice to start out with a three star line. Periscope is not only inspiring to look at, it is fun, techy, and addictive once you pull on and climb. To find Periscope, check the guide of course, and head to the Contact Station Area. The trail from the parking lot will lead you directly to the problem and this is the very first boulder you reach (a whopping one minute approach). The line is easily protected with a couple of pads and a spotter. Sit start on a nice, obvious jug and throw up a heel hook to get things underway. The whole process for Periscope is to climb through a series of small crimp moves necessitated by a right trending seam. Your body leans to the right and you have to find the right sequence to gain the huge jug to the upper right of the seam. 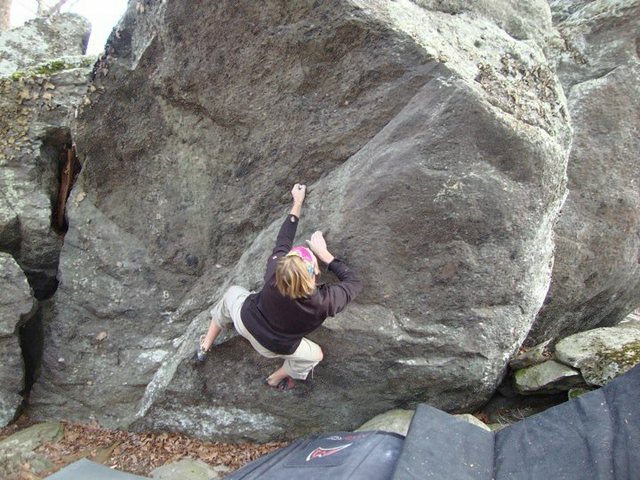 The whole way your powering off of a left heel hook and hanging beneath a short, steep face. 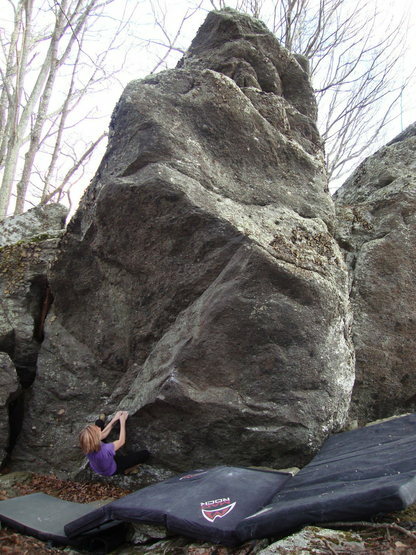 Once you do gain the nice jug break at the tip of the small incline, you get to breathe easy and finish up a taller face to top out the line in pure, victorious ease. While this may feel like either V3 (as it was previously graded) or V4 (as it was upgraded to more recently) it is a wonderful, classic line and a must do for any climber visiting GHSP. 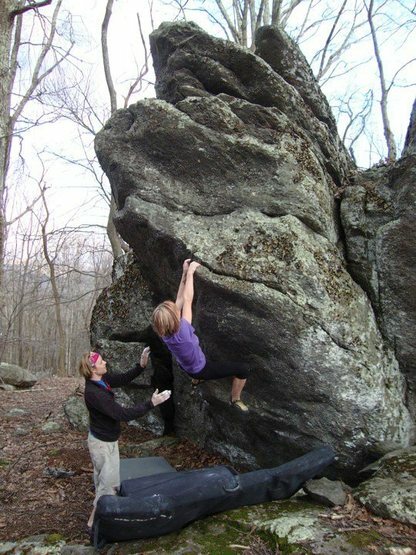 The name of this problem really wasnt inspired by anything more than trying to think of something that “ascends” or “goes up”, combined with the fact that it’s the first problem and boulder you “see”… Not a very cool history of the name, but there is the history none-the-less. Certainly add this one to your tick list for GHSP! Once the guide is out I will list page numbers for this problem as well.